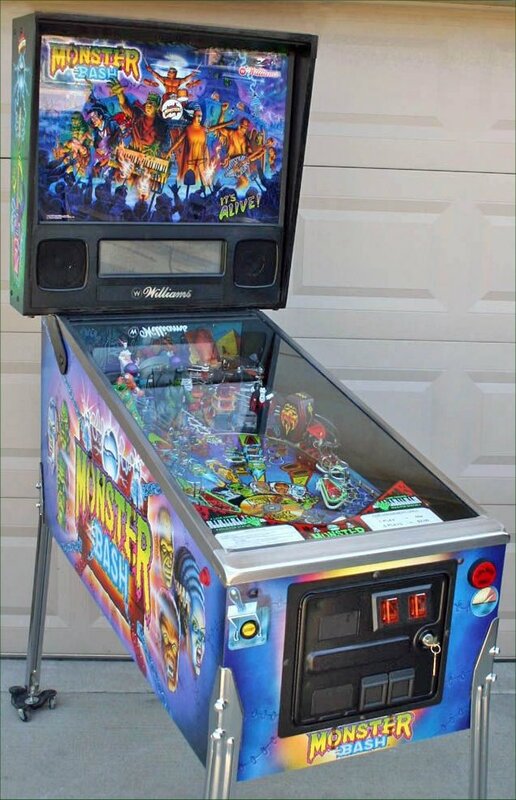 Michigan Pinball - Parts, Sales, Service - We Buy Pinball Machines. This game uses licensed "monsters" from Universal Studios. Rumor has it that this game was originally going to be based on the iconic "Monster Mash" song by Bobby Picket in 1962. However, the licensing fees were astronomical so the original idea was dropped. Monster Bash is a colorful and fun to play but is criticized for not having a very deep ruleset. While the theme is horror based, the execution contains lots of rock songs and plenty of humor making it a "fun monster experience."